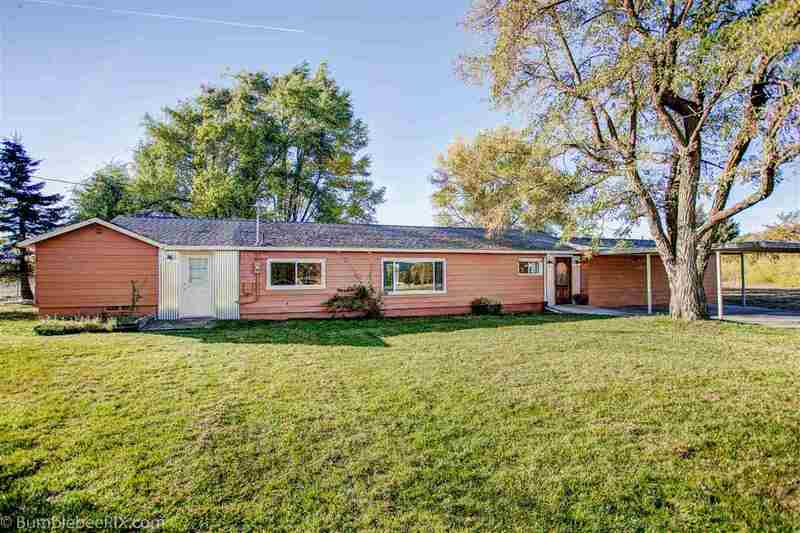 22724 E Wellesley Ave, Otis Orchards, WA.| MLS# 201826115 | Cooper Realty Services (509) 599-1111 | Spokane WA Real Estate | Contact us to request more information about our Homes for Sale in the Spokane WA area. Renovated farmhouse on 3.87 level acres + shop. Enjoy 3 beds, 2 Â½ baths, 2350 sq ft, all 1 level. Master suite + walk in closet. Spacious kitchen w/ soapstone counters, island, pantry, SS appliances, living room, family room & laundry room. Updates include electrical, plumbing, insulation, windows, furnace, A/C, flooring, lighting, cabinets, hard surfaces & septic. Outside enjoy mountain views, fenced backyard, pasture, garden, shop, rustic original barn, chicken coop, fruit & walnut trees, patio & carport. Selling Office: Real Estate Marketplace NW, Inc.
© 2019 The Spokane Association of Realtors. All rights reserved. Information deemed to be reliable but not guaranteed. The data relating to real estate for sale on this website comes from the Spokane Association of Realtors and the Broker Reciprocity Program.sm. Real estate listings held by brokerage firms other than Cooper Realty Services are marked with the BR logo and detailed information about them includes the name of the listing brokers. Listing broker has attempted to offer accurate data, but buyers are advised to confirm all items. Information last updated on 2019-04-24.